An introduction to Ann-Marie James’s intricate paintings, which brim with energy through their connections to art history. Often beginning with a drawing of limbs borrowed from art history – a leg purloined from a Bernini sculpture or an arm of one of Rubens’s putti – the artist’s paintings are built up through layer upon layer of both material and technique. From an initial drawing comes a silkscreen and then, at various points, James adds layers of thick medium, expressionistic splashes of acrylic and blobs of ink. Stepping back from the process and the detail, the myriad of gestural activity within the compositions takes on an intense wave of dark, kinetic energy. 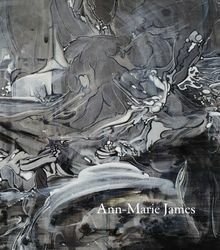 Published on the occasion of the exhibition Ann-Marie James: Proserpina at Karsten Schubert, London, this book features seven paintings alongside a text by Michael Bracewell, which uses detailed descriptions of the artist’s molten forms to explore the work’s ties to mythology. Paperback, 9.13 x 11.13 in. / 40 pgs / 18 color. An introduction to Ann-Marie James’s intricate paintings, which brim with energy through their connections to art history. Often beginning with a drawing of limbs borrowed from art history – a leg purloined from a Bernini sculpture or an arm of one of Rubens’s putti – the artist’s paintings are built up through layer upon layer of both material and technique. From an initial drawing comes a silkscreen and then, at various points, James adds layers of thick medium, expressionistic splashes of acrylic and blobs of ink. Stepping back from the process and the detail, the myriad of gestural activity within the compositions takes on an intense wave of dark, kinetic energy. 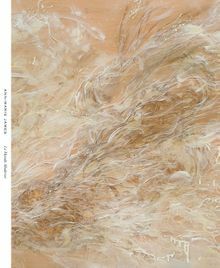 Published on the occasion of the exhibition Ann-Marie James: Proserpina at Karsten Schubert, London, this book features seven paintings alongside a text by Michael Bracewell, which uses detailed descriptions of the artist’s molten forms to explore the work’s ties to mythology. Paperback, 8.25 x 9.5 in. / 32 pgs / 12 color.